The Kids Avenue Urban midsleeper bed set 7 comprises of a curved desk with 2 chrome legs, low shelving unit and 3 drawer chest for extra bedroom storage. Made from solid pine in a white finish combined with natural birch steps, headboard and foot board. 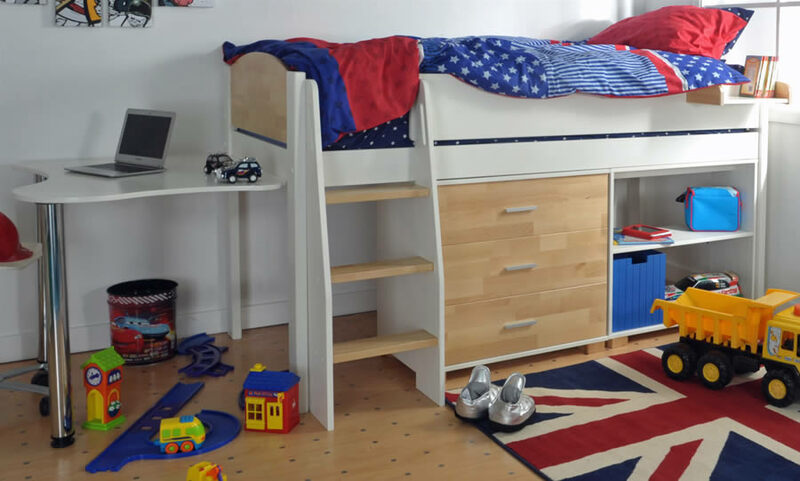 The Urban midsleeper ladder has 3 steps and it can be fixed on to the front left or right side of the bed depending on your child's bedroom layout needs. 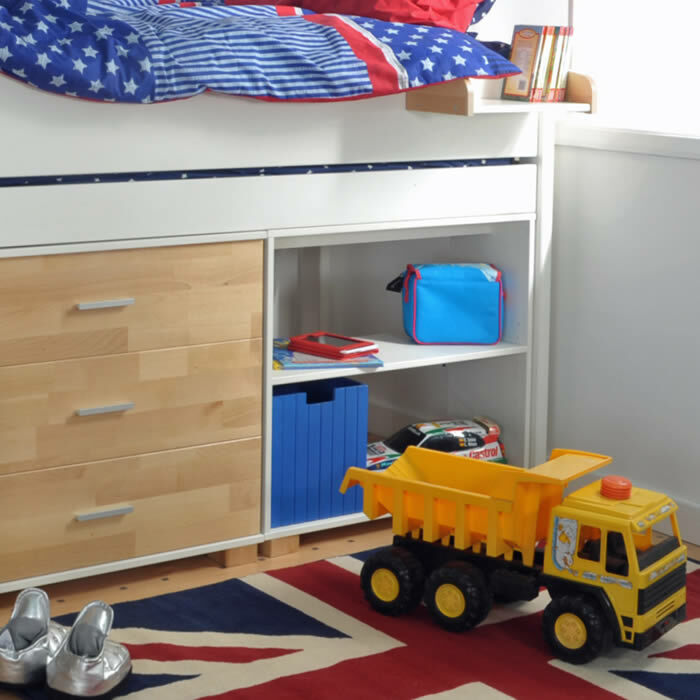 For storage the 3 drawer chest and low shelving unit can be positioned under the Urban midsleeper frame or used as free standing furniture around the bedroom. 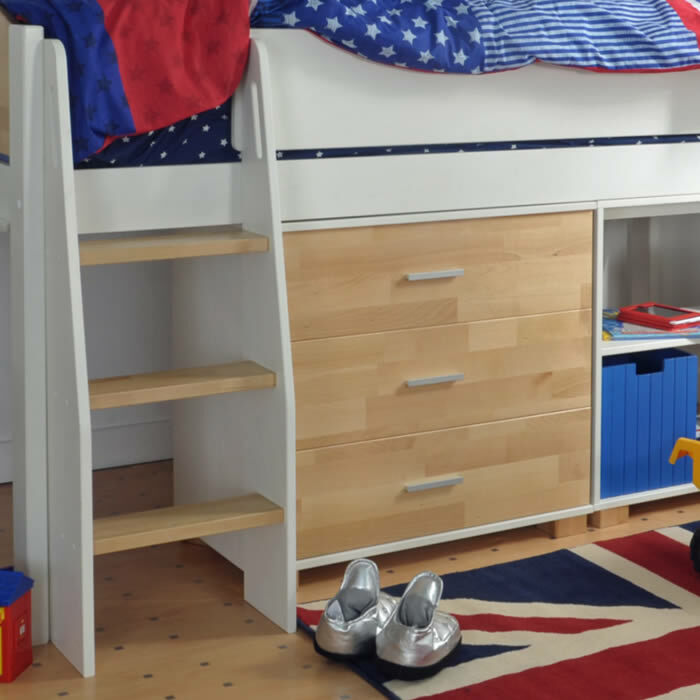 To help your child study and play the curved 2 leg desk is a perfect solution, it can be reversed and fixed to the bed ends or front of the midsleeper's frame.